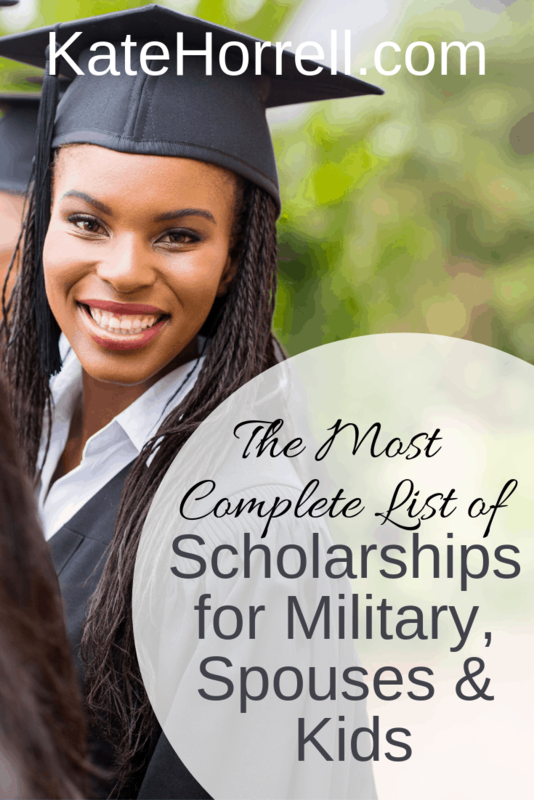 Check out these great military-related scholarships and grants with May application deadlines. Description: Provides scholarships to students who are the children of active duty, inactive/active-duty reserves or retired military personnel (to grade Captain/Colonel equivalent), resale personnel (NEXCOM, DECA, Coast Guard, AAFES, Marine Corps) or ALA members who reside in the Hampton Roads Area. Description: Offers interest-free loans and grants for undergraduate/post-secondary education at an accredited 2- or 4-year education, technical or vocational institution in the United States. This financial assistance is available for children of active duty, retired or deceased Sailors and Marines; and for spouses of active duty and retired Sailors and Marines. Description: To be eligible, an applicant must be either a child or spouse of a Blinded Veteran. The veteran need not be a member of the Blinded Veterans Association. This scholarship is open only for full time students in an accredited vocational technical school,community college, college, or university, for tuition, books, and fees. Students may apply each year of study and may receive up to three annual scholarship awards. Description: The Association of the United States Navy’s (AUSN) Scholarship Program awards scholarships to undergraduate students who are members, children, and grandchildren of AUSN members and surviving spouses of deceased members. Description: This program is for dependent child age 24 and under (as of application deadline) or spouse of U.S. military service personnel. Be current high school seniors or graduates who plan to enroll or students who are already enrolled in a full-time undergraduate course of study at an accredited two- or four-year college or university, or vocational or technical school for the academic year. You must have a minimum 2.00 cumulative grade point average (GPA) on a 4.00 scale. Spouses enrolled part time in an undergraduate course of study at an accredited institution are also eligible. Spouses may also use the award for non-degree licensure and certification programs regardless of whether an undergraduate degree has already been completed. Description: Applicants must be enrolled, or planning to enroll, in a full-time undergraduate STEM degree program at an accredited college or university in the fall term of 2019. Eligible STEM degree programs include Engineering, Architecture, Interior Design, Construction Management, Computer Science, Environmental Science, Geology, Chemistry, Biology, Physics and Mathematics. Other STEM degrees may be accepted if they can be shown to relate to construction, operations, maintenance or protection of national infrastructure (facilities, transportation, energy, water, telecommunications, etc.) pPeference will be given to students who are members of a SAME Student Post or whose parents, guardians, or sponsors are members of SAME. Sponsors must provide a letter of recommendation as part of the application package. Our intent is to target scholarship awards to Hampton Roads high school students and college students attending College / Universities throughout Virginia; however this is not a requirement and The Post reserves the right to offer scholarships to any qualified candidates. Description: The Navy Wives Clubs of America offer several scholarship programs for the children and spouses of enlisted members of the U.S. Navy. Description: The Spouse/Caregiver Scholarship Program identifies, recognizes, and rewards post-9/11 spouses/caregivers for their strength, fidelity, and resolve despite adversity. Scholarships aid in continued education at a reputable, accredited university, college, or trade school for spouses/caregivers as they assume critical roles in the financial well being of their families. Please let me know if you are awarded any of the scholarships you’ve found listed here at KateHorrell.com. I’m going to put together some sort of running balance!